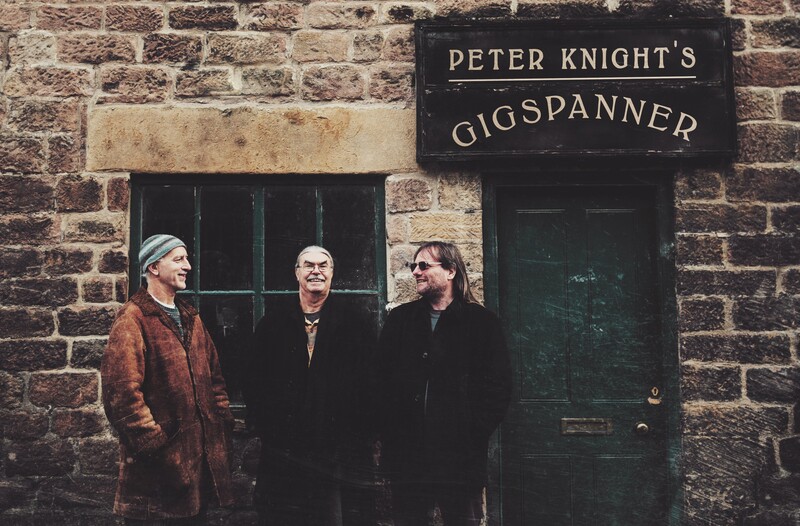 Peter Knight is the founder of the trio Gigspanner and he spoke to me from his home in France ahead of the upcoming UK tour which takes in Kettering Arts Centre on November 5. 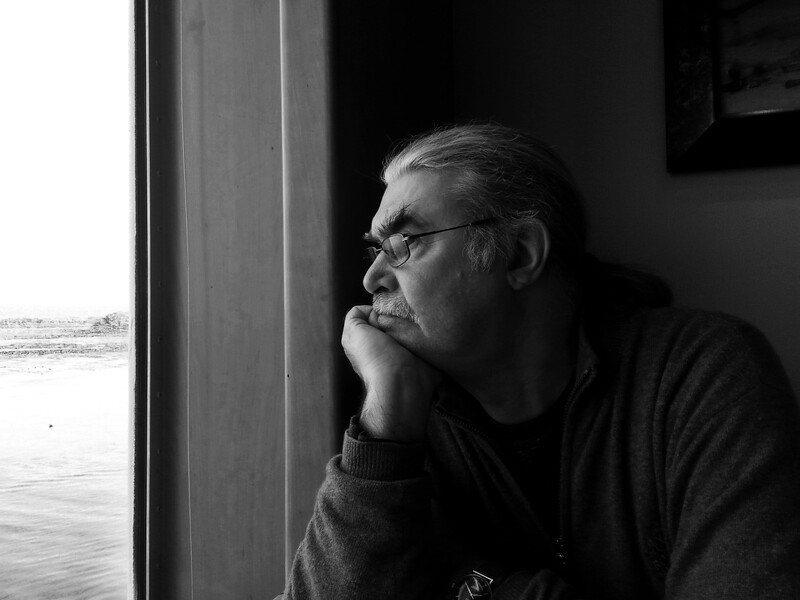 For the many people who love folk music Peter is known for being the fiddle player in the folk-rock band Steeleye Span, the group he joined in 1970 and stayed with for almost 43 years. He had already formed the trio during the latter years of being in the band and at the end of 2013 decided it was time to bid adieu to Maddy and the others to concentrate fully on this new project. That name derives from the 1940s/50’s jazz scene and is a slang term for a bottle opener and as it contains the word span forms a tenuous link to the former band in which he played. It was only intended as a working title whilst Peter acknowledges it does not reflect the music played it has stuck with the trio and he is reluctant to change it. At its core, the music is traditional folk music, but with Roger Flack (guitar) and Vincent Salfass (percussion) the trio stretch the genre and infuse elements of world music into the songs and tunes. It was while he was playing alongside his friend, the jazz saxophonist Trevor Watts, in Hastings when the seeds of Gigspanner were sown. In the audience that night were Vincent and his partner Liz. During the set pointed to Peter and whispered to Vince that he was the chap he should be playing with. A phone call and a meeting developed into a couple of gigs together and they instinctively knew they were onto something. Gigspanner released its first studio album (Lipreading the Poet) in 2008 and received critical acclaim, being named as one of the best 15 ‘Global Albums of 2009’ in The Wire magazine. However, Peter is not one to stand still. 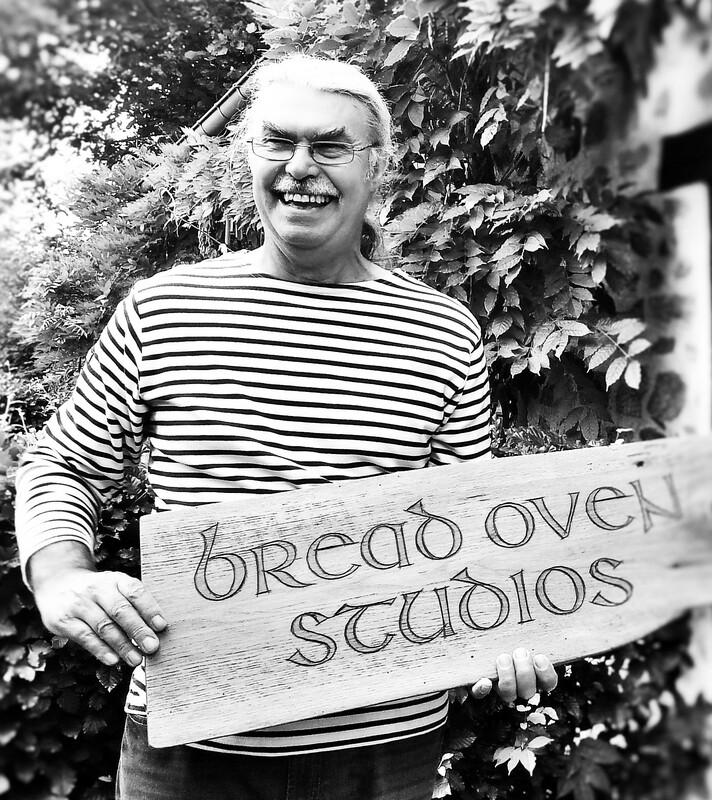 He is currently putting in his time at his studio, Bread Oven Studio, which is adjacent to his home working on new tunes for the upcoming Gigspanner tour. This attitude stems back to his childhood. 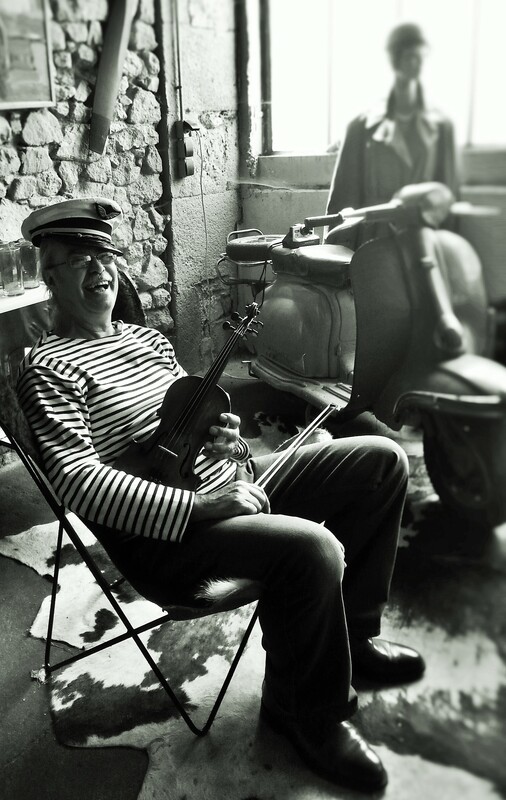 Peter was introduced to music by his father, a non-professional violinist, and with Peter on mandolin, they used to perform for family and friends. 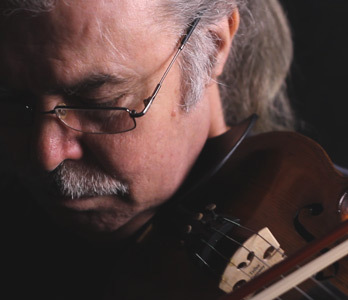 It was at secondary modern school when Peter started his violin lessons and an astute teacher saw the potential within the 13-year-old student and put him forward for a place at the Royal Academy of Music which he attended for three years. “I was told I had the makings of a solo violinist,” said Peter, “which I suppose I am but although I was offered an extension, I declined. A sixteen year old has other things on his mind. I didn’t know much about folk music but I had heard some Irish fiddle music and was hooked. “I left home at 18 and got into the Irish music scene in London, playing in the pubs, and I went from there. I was then playing in folk clubs and Martin Carthy, who had recently joined Steeleye, used to hear me playing. At that time the new band was scouting for a fiddle player so he told Ashley Hutchings about me. They had done some gigs together but had yet to record an album when I joined them. Back to the future, for Peter there is still much to be done. He holds regular two-day masterclasses and on the Saturday evening the 11 or so students get the opportunity to play together and improvise tunes with Peter and a special guest, usually Trevor Watts (sax) or Tim Harries, Steeleye Span’s former bass player. Although nothing definite has been arranged there is an idea germinating at the back of Peter’s mind that he, Trevor and Tim, plus long-time friend and drummer Barry Barlow could get together to record an album, independent of his other projects. This is a pipedream that may come to fruition, given the time, but there is one new project that is certain to go ahead next year. It follows up on an idea suggested by Peter’s wife, Deborah, after she invited Phillip Henry and Hannah Martin to guest with Gigspanner on stage for two gigs in June of this year. Phillip (slide guitar/harmonica) and Hannah (singer-songwriter/multi-instrumentalist) were the winners of the 2014 BBC Radio Two Folk Award for Best Duo. Following the dynamic results of this collaboration, all parties realised that they had been part of something special. In the meantime, Gigspanner takes precedence. It was time for Peter to hang up the phone and get back to his studio to work on the tunes in time for the tour. With improvisation at the forefront it is impossible to state categorically what the audience will hear, only that it will be musical perfection played by three musicians who are still top of their game – it can only be good. Band pic by Elly Lucas. You may also buy or reserve tickets from Jaime Ferreira by email at office@ketteringartscentre.com or online at We Got Tickets ( subject to a booking fee).